Heritage FairsWhat can you learn about BC’s history from Heritage Fairs? The Heritage Fairs program is a multi-media learning program developed to increase public awareness and interest in Canadian history and heritage. The goal is to offer students the opportunity to explore the many aspects of their Canadian heritage in a dynamic learning environment and present the results of their efforts in a public exhibition. Students use the medium of their choice to tell stories and share information about Canadian people, events, milestones and achievements. 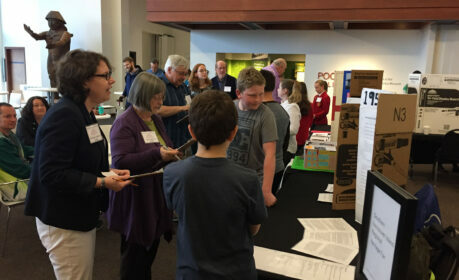 Students begin their research early in the school year, then present their projects in the spring at regional venues, which the public is invited to attend. There they are judged and a few are selected to attend provincial and national Heritage Fairs. All aims we share at the Royal BC Museum! Providing mentorship—our history curators participate as judges at the fairs and our Learning Team collaborates with classroom educators to explore methods of research, prototyping, display and interpretation. Use this pathway as a resource and for inspiration when working on Heritage Fair projects. You can also share your final project with images, audio or video as a Learning Portal playlist! What can you learn about BC from Heritage Fairs? Watch these student-made videos of Heritage Fair projects. 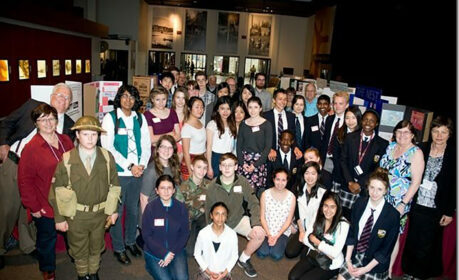 Listen to students describe their Heritage Fair projects. Explore these resources to support Heritage Fairs projects!